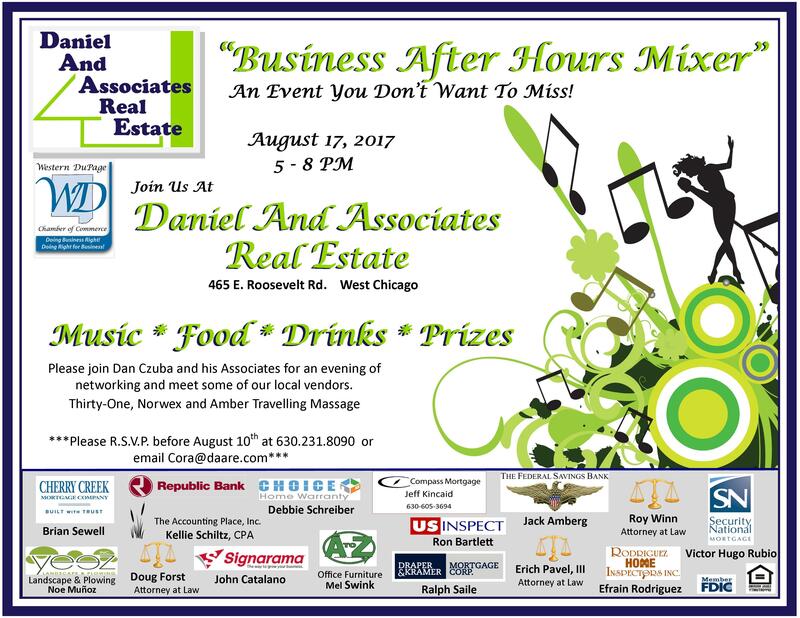 Please join Dan Czuba and his Associates for an evening of networking and meet some of our friends, clients and business associates from over the years. As a small business D.A.A.R.E. supports local businesses. We will be supporting a few of our local vendor. Enjoy some food, music, and spirits with us. A good time will be had by all.